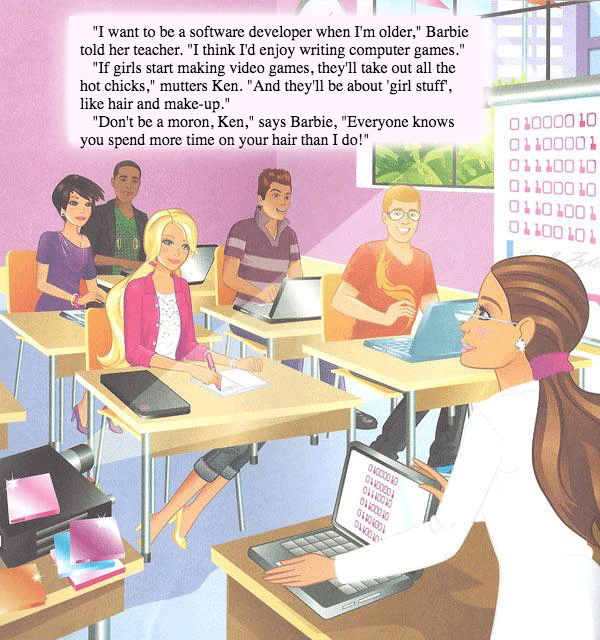 "I want to be a software developer when I'm older," Barbie told her teacher. "I think I'd enjoy writing computer games." "If girls start making video games, they'll take out all the hot chicks," mutters Ken. "And they'll be about 'girl stuff', like hair and make-up." "Don't be a moron, Ken," says Barbie, "Everyone knows you spend more time on your hair than I do!"